How often do you hear the advice to do long term investment? They say the smartest thing to do is to buy and hold because the market always come back; stay invested and you will outperform 90% of the fund managers. Should you believe long term investing? Long term investing seems to make sense in the first place. 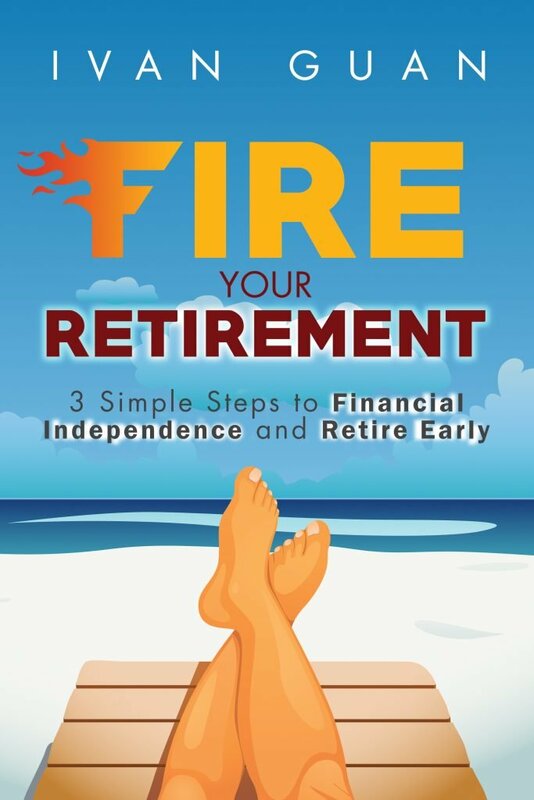 After all, if you want to invest for your retirement, that is for long term right? There are many empirical studies with 20 to 30 years historical data to justify this argument. It says that if you were an average investor and held a basket of index stocks, you are almost certain to make money if you stay invested for long enough. But the truth is, the traditional way of long term investment is not suitable for most people, and it will almost always cost you a big fortune, especially in today’s market. To be honest, even I myself fall into this belief when I started investing. Like many people, I worshipped Warren Buffett’s tribe and tried to duplicate the same. But over the years, I realise that there is only one Warren Buffett in the world. All those who advocate long-term investment are people who either never make long term investment themselves, or who will benefit if you leave your money with them for “long term”. If you sense some tiger in the bush, your first instinct is to run than just sitting and doing nothing right? Now think about investing, if the stock market is crashing and the world is falling. What would you do? If you follow the convention wisdom to buy and hold, you are against your human nature. It takes a lot of courage and willpower to stay in the market. Unfortunately sooner or later, most retail investors will give up, and regret that they did not sell earlier. Guess how long an average investor can wait? Yes, that is true. Research shows investors always cross that fine line from investing and into speculating. Whenever you buy a stock, you just cannot move your eyes away from the price movements. Dalbar’s research tracks the the behaviours of average investors. By tracking retention rates of investment funds, you can tell how long people will stay with their own investments. Stay with asset allocation investment (balanced funds) for an average of 4.56 years. In another word, investors can “marry a long term investment”, but they cannot keep their vows for long. How wonderful if you can just set up a long term investment, forget it and only to reap when you retire? In reality, this fantasy stops you from taking necessary steps to take opportunities and manage risks, it also gives you the illusion that you have control over what you are investing. Just a decade ago, you think about Kodak when you think about taking a photo. But this 130-year-old photographic pioneer could just vanish and so was all your life savings and your faith with your long term investment of the company. The same thing goes with Lehman Brothers, AIG, Citigroup, General Motors, Palm… Some of these “blue chip” companies may still exist, but you would have lost almost all your investments with them. You may have heard that you can invest in a portfolio of stocks or simply buy the index ETFs to diversify your investments. Do you know until today, Japanese stock market has not recovered the crash since 25 years ago? The truth is, no matter what you invest, the timing of investment is important. Professional investors can trade “lousy” stock yet still make money, many retail investors buy and hold blue chip stocks but never see their wealth grow. Convince yourself that this is just a “paper loss” and hope one day market will come back? I think it takes more courage to do the first, that is why few people succeed in investing. Just imagine you held some “long term investment” after 5 years and it is still at a loss, what would you do? Real loss from long term investment is almost always a painfully BIG loss. Most people who have been holding the stocks of Keppel Corporation, one of the world’s largest offshore and marine groups, would have lost more than 50% of their money. How will it affect your retirement plans if it occurs before you retire? How will it affect your retirement if it happens after you retire? Everyone knows the stock market has its ups and downs, but just what’s involved in recovering from a serious loss? If you lose 50%, how much return do you need to generate just to break even? It is not 50%, but 100%! From the table below, you can see that the math of recovering from a loss isn’t quite that symmetrical. You have to gain more than you lost to recoup. If you have invested for some years, I urge you to take a look at your investment statements (probably the paper you always toss away whenever you receive it). You may discover that some stocks, which you have held for years, are worth only a fraction of your initial investment now. I know this because I am speaking from my own experience. I used to hold some stocks for 5 to 8 years and yet lost 90% of the value (I had got rid of all of them and moved on). Did that happen to you? Now, either you think this article does not make any sense, or you just discover a new investment perspective for yourself. I would love to hear your opinions and you can leave your comments. If you like this article, simply share it by clicking the button below. I’ve read your post and I personally think the buy and hold strategy is sound the main issue is the fact that the strategy is poorly executed by people. At the end of the day if I purchased a flat pack furniture and did not follow the instruction to assemble it I can hardly blame the manufacturer for the product the blame lies with me. The buy and hold strategy pertains to buying quality company because this method is relying on compounding to grow wealth and only a high quality company would be able to achieve that on a long term basis. Unfortunately if an individual chooses a poor company or a business in a poor sector to invest their life savings then the buy and hold would fail to yield a decent return. Similarly if an individual chooses a good company but pays way over the odds for the company again they stand to lose money because the buy and hold strategy is entirely dependent on purchasing a stake of future cash in current day money. This is termed as DCF and to give a example if you purchase a stock of Coca-Cola for $150 dollars today but the DCF indicates $200 max in 10 years, you end up losing money due to inflation. On the other hand if you purchased the stock for $20 dollars then happy days. These two principles I outlined are underpinned by numerous factors which if I were to discuss could turn into a book in its own right. However it takes a huge amount of discipline and time to develop the competency to execute these two principles. This is the reason why people lose money. 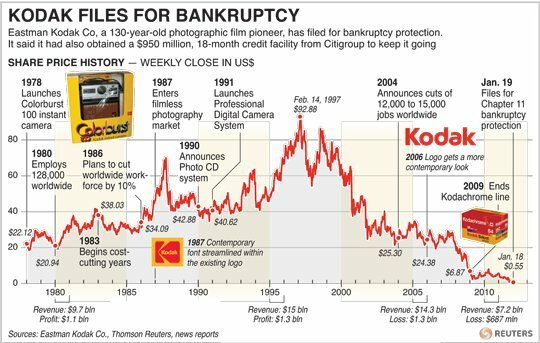 Quoting KODAK as an example for buy and hold stock is a poor example because KODAK is operating in a technological sector where sooner or later a company will compete and take its market share either through pricing or different technology. If you look to the present the modern day equivalent would be a tech company like Apple or Google. It sounds crazy but these companies are based on the concept of continuous innovation to keep the consumer happy so if they stop innovating or their innovation is inferior to rival tech companies then the likes of Apple or Google could end up like KODAK. On the other hand trying to destroy Coca-Cola, Walmart or McDonalds would be a very hard task indeed. These companies have built up a formidable brand, massive scale and huge finance power. Most people would rather avoid competing with such companies this allows them to sustain their profit levels and so allow them to compound wealth. Unfortunately most people lack the discipline and knowledge to be able to select companies. This is not due to ability per se but rather time unless you become a full time investor and don’t have a day job it would be a real struggle to develop the knowledge to allow you execute the buy and hold technique. I am trying to educate myself in this area whether I succeed is another question. Last year I read a book which explains history of speculation called the “Devil Takes Hindmost” this book also represents the sentiment of the mass especially in the art of losing money. Thank you for your insightful comment. I agree with you that “buy and hold” itself is a good strategy, but as you rightfully pointed out, “the strategy is poorly executed by people” and “most people lack the discipline and knowledge to be able to select companies”. So my point is that if this strategy is hard to implement, why not we find a low hanging fruit? Just something to ponder. I personally think the best way to beat the market is through investing in index funds and bonds for people who dont know how to select a stock. Momentum investing is probably far more risky strategy then buying and holding stock simply for the reason that you are trying to guess the behavior of the herd. Unfortunately if you buy a stock based on strong market sentiment but it has poor fundamentals then when the results are published any gain the stock has made would be temporary. You quoted KODAK as an exmaple but what if you have an over optimistic market and the stock price goes through the roof but then it crashes because the company is declining if you fail to unders? Another example is Enron with its accountancy scandal if you could read the accounts you would most likely run a mile but at the time the market was overbearingly enthusiastic until someone finally caught on! Other issues with momentum investing is the effect of external events if you look at September 11, 2008 financial crisis, Brexit and Donald Trump all have rocked the markets and none could be mitigated by individual in engaging in the market. 1. Since index performs the same as the market, how do you outperform the market when you use index fund? 2. Frankly, how the market performs has nothing to do with us. Because the market doesn’t care about our investing goals, be it for retirement or any other purpose. 3. momentum investing is not riskier. The reason is that if there is a financial crisis, the momentum disappears and you should have cut your positions before the market melts down already. I think if you use a combination of bonds and index fund you can beat the market simply through changing the proportion of bonds to index fund you hold depending on a bear/bull market. Just relying on index fund will not allow you out perform the market. One cavet to all this is that the investing should be done on a long term basis so people should only invest in amounts they can do without for many years. With regards to momentum investing it is riskier to the general population because they do not have the skill or understanding to know when to pull in/out. You only need to read the papers to see people have lost all their money because they have bet on the wrong horse. This is why by holding a portion of index/bonds you could grow your wealth unfortunately most people would be disparaged by this approach because it takes time. If people need cash for the near term then the only way around it is through setting your own business or getting an extra job. For the majority of the people momentum investing is probably not the best option not if they have taken the time to train themselves to invest under such technique. Stock market is designed in such way that for the short term the market wins but in the long term the investor wins. My counter question is why should an investor be at all focused on ‘outperforming the market’? The primary goal for any investment is to beat the rate of inflation, as inflation erodes the value of your money. Without taking any risk you cannot beat inflation. Long term (1962 to 2018) average rate of inflation for Singapore is 2.6%. The risk free rate of return can be taken to be any where from 1% (average one year term deposit rate for $ 50,000 guaranteed by SDIC) to 2.58% (yield on 10-year Singapore Government Bond). Regular long term investing is a diversified basket of stocks (an index) can very comfortably deliver this and eliminates the company specific risk (the Kodak phenomena). The entire business of beating the index/market return has been created by the active fund management industry to justify their fees. Investing in individual stocks is a very different game from investing in a diversified portfolio. For most people who have other professions and are not 24/7 (or professional) investors, regular investing in a diversified portfolio of stocks (e.g., Strait Times Index) is all that is required. Thank you for the very meaningful discourse your article has provided. Very nice article. I learnt many things from this blog. So if long term investment does not work, what should we do instead? For me, I adopt a momentum investing with rigorous risk management approach. Can I ask my plan of having a mixture of stocks that generate divinded and a few stocks that I will hold and sell when the price is great. Are you asking if you should have a mixture of stocks for long term dividends and stocks for trading? That will depends on your financial status and your financial goals, as long as your stock holdings matches your financial objectives and expected returns. The pitfall here is that sometimes people want to achieve capital gain, yet they heard dividend investing is popular and they go for it. you just cannot have the best of both worlds. i am a retail investor , i used to be invest in long term stock market (10 year ++) . and i made a lot of money base on my limited fund . My experience is looking at the company FINANCIAL RATIO (e.g. : PE ratio , ROE , dividend…… etc) , invest in blue chip company which can generate cash . It is absolutely peculiar to find a financial consultant who does not believe in long term investment. In my opinion, it all depends on how one would define the term “long term” investing – it is not meant to be “forever” investing. No form of investment can afford to be left on its own for the longest time once vested, it definitely needs to be constantly managed. Even the accumulated investment knowledge or experience as mentioned needs to be exercised consistently and kept relevant. There is a timing for everything. 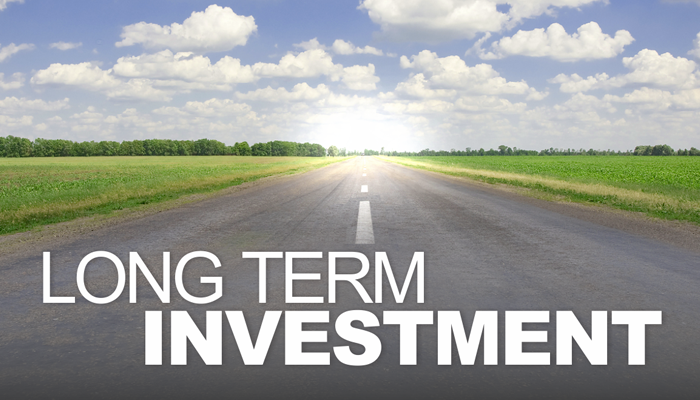 even long term investments should be assessed regularly and the profits realised in due time. Given that the market is an ever-changing environment, neglect would simply cause the profits to be lost again in the longer term, which is the caveat for most retail investors who fail to define a clear investment window or a target profit. In this case I would view it as the failure in execution, rather than the strategy. Just my 2 cents worth. Interesting, nevertheless. I guess we just have different definition for long term investment. I believe in investing for long term, but not to sunk into a particular form of investment. After all, we meant the same thing. make sense to me. if that is the case, then what should most of us do? There are a few things we can do, but really it is a mindset shift. Be open to different investment strategies. There are many ways of investing, different strategies work in different market conditions. Do not focus on return, focus on risk management. There are always investment opportunities. Retail investors have limitations of what they can do, but the worst thing is if they do nothing. Like everybody, I have my own way of assessing the market. But for now, I think short duration bond fund is the only safe haven for most retail investors. But bear in mind that is just for today, we all have to stay nimble and agile if things change. thats what i did. and the end result is that i grow so skeptical that being in cash actually affected my returns! active management have drawbacks if its done by an amateur like myself! I like your blog and I know where you are coming from. The thing is that not everybody has real interest in finance. Interested in making money and interested in learning investment is different. Everybody has to lose some money before they can make money by investing. But if a person lost too much when they just started investing, he or she will normally give this up forever. Holding short duration bond is not the same as holding cash. By holding cash, you are standing at the sideline and you have to take some courage to come back. But when you are holding short duration bond, you “stay invested”, and it is much easier for you to take action when market recovers. That is just human psychology. Interesting article! “To me, the only long term investment you can have is your investment knowledge and experience that you accumulate over the years.” – Indeed! On buy and hold, I think most people cannot apply such methodology simply because they don’t understand the company they are buying enough. It is not the method of conviction, but also of thorough understanding. Most people know when to buy, but not many know when to sell. When your reason for purchase has been breached, it should signal one to sell already. Most don’t even know their reason for purchase. I think that’s the problem. I enjoyed the read! Thank you for the article! Longterm investment works only if you don’t need your money ever. How many of us can afford? NEVERTHELESS, you still need to sell if you have made how many %? And not when you retired. Remember you must not need the money ever. Then you can choose when to sell. Except there is always exception or the fat tail. Like i had IPC SINCE IPO THEN ONLY RECENTLY I THOUGHT I WANT TO MAKE MY PORTFOLIO LOOKS BEAUTIFUL, I SOLD IT. K K lol! i have forgotten about it until your article. Once in a green, green moon. But may be we all die liu? “Long term investment works only if you don’t need your money ever”. That is the good point.